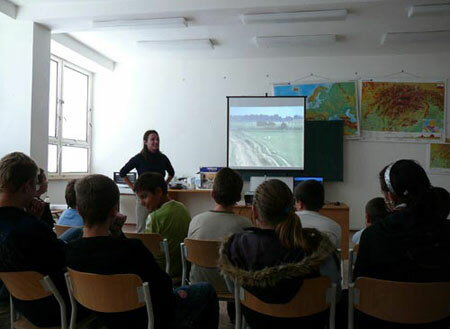 As the lights are turned off and PowerPoint presentation begins, it is the time for teachers to have a vivid and interesting class to their students. As we know, PowerPoint is an essential presentation tool in education field. According to the research of Dr. Treicher, an experimental psychologist who made two well-known experiments about obtaining information and maintaining knowledge information obtain and knowledge maintain. People can get more benefit from teaching if they can learn knowledge by watching and listening, then exchange their opinions by discussion. So PowerPoint presentation with pictures and even audio can be used to facilitate the teaching effect. 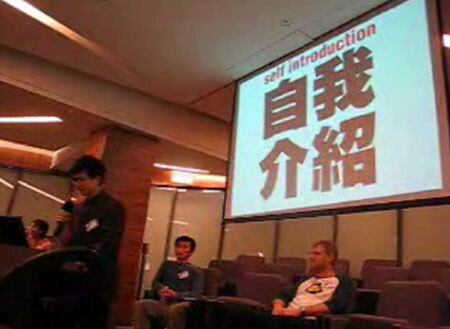 However, there are some mistaken ideas when some teachers have classes with PowerPoint presentation. Here are four of the most common issues teachers should pay attention to. Don't be too dazzling How do you feel about this PowerPoint? Many teachers like to add lots of visual effects, pictures and animations in their PowerPoint presentations, making their lessons like Hollywood blockbusters. In fact, teachers can pay more attention in multimedia teaching. PowerPoint presentation is just a tool and it can't replace the role of teacher. Remember that you are using PowerPoint for giving lessons but not giving lessons for presenting your PowerPoint slides. Besides, the overmany pictures, video and audio files can cause your PowerPoint presentation file size extremely huge. So use these visual effects carefully when it is necessary. Use computer screen to replace the white board Do you like to watch the slide like this? Some teachers put all things including lecture sheet, test and even whole teaching plan into their PowerPoint presentation. At first sight your presentation looks like a Wikipedia, but you will find it hard to interact with your students during the class because they have already known what you will say next by browsing PowerPoint presentation. On the other hand, PowerPoint presentation is not a teleprompter for teaching. Teacher should lead their students to exploit their creative skills and learn things in a positive way. 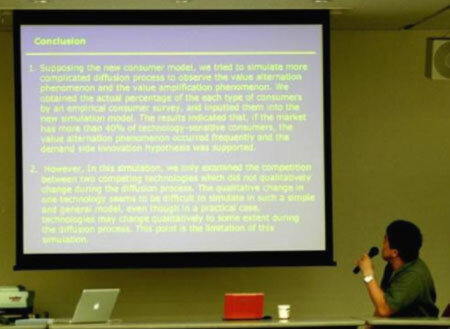 By sharing knowledge with computer screen only, you just use the computer screen instead of the blackboard to do the presentation job, and you lose the interactive teaching effect which PowerPoint should achieve. PowerPoint is Used in Interactive Class Make your students active The courseware made with PowerPoint is aim to make good use of the combination of video and audio. Students can get more visual impact and better understanding by watching the presentation and listening to the narration. But one more problem is that the presentation cannot be served as an alternative of thinking training. Communication is a must during the multimedia teaching. Teachers encourage their students to ask and solve questions during the classes, but not simply read off the slides. You can also leave five minutes for questioning and solving their questions. This ensures the quality of your lessons. Have PowerPoint class Having class is far away from enough It is a quite tough thing to ask all students to master new knowledge in the class, so the review after class also plays an important role. And that is something bothers many teachers. Since not all the students have MS Office installed on their computer, they may have no chance to have a good review by watching courseware once again. However, you can try some other ways to make your PowerPoint presentation available on your students' computers. Here are some flexible ways for you to make your presentation available to more students such as converting your presentation to video, burning your PowerPoint presentation to DVD , and sharing your PowerPoint slideshow online. There are tons of YouTube-liked streaming video sites for video authoring and sharing. Teachers can upload their presentation video and share knowledge to more students who need it. 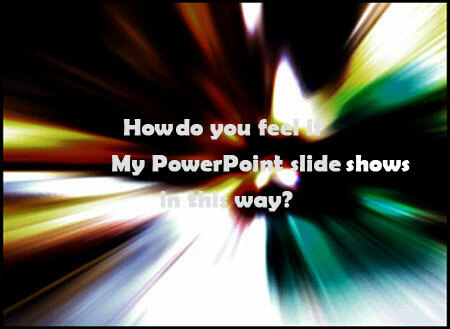 PowerPoint teaching is really a good way to teach students and share opinions. However, it is not an easy job since teachers have to put a lot of time and effort in making an impressive and interactive PowerPoint presentation. We sincerely hope you can make good use of PowerPoint program and explore new multimedia teaching by continuing practice. SunnyY - is a senior expert in eLearning who works at Wondershare E-Learning department. Wondershare Software is an industry-leading learning and training software application provider. You could get more eLearning tool for your teaching and training, such as PowerPoint to DVD Converter, PowerPoint to video converter and so on.